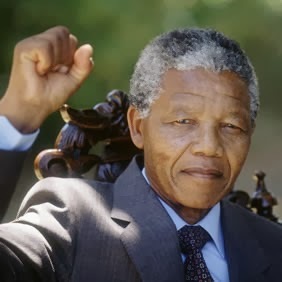 Mandela is justly celebrated for his deep belief in the necessity of forgiveness and reconciliation, a view that was inseparably bound to his views on the relationship between oppressor and oppressed. In many ways, Mandela embodied one of the great Socratic paradoxes that is introduced in Plato’s dialogue Gorgias. Socrates claims: “If it were necessary either to do wrong or to suffer it, I should choose to suffer rather than do it.” Plato showed that, paradoxically, the person who inflicts evil is even worse off than the person who endures the evil. For while the person who is on the receiving end of injustice certainly suffers, his soul is not tainted by the ugliness of injustice, while the person who carries out the evil directly harms his soul by sowing injustice. Socrates continues to argue that the worst thing that can happen to someone who commits an injustice is to get away with it, for then his soul is never healed. I knew as well as I knew anything that the oppressor must be liberated just as surely as the oppressed. A man who takes away another man's freedom is a prisoner of hatred, he is locked behind the bars of prejudice and narrow-mindedness. I am not truly free if I am taking away someone else's freedom, just as surely as I am not free when my freedom is taken from me. The oppressed and the oppressor alike are robbed of their humanity. It is this attitude which explains how he was able to reach out to those on the other side of the struggle, despite all his anger, outrage and bitterness over apartheid. In prison, he studied Afrikaans poetry so that he could better understand the soul of his enemies. He famously promoted the 1994 Rugby World Cup, an almost exclusively “white” sport, as a gesture of friendship. There are many examples of his large-heartedness towards those who participated in the injustices of apartheid. He realised that for there to be freedom, both the oppressed and the oppressor had to be liberated. Mandela was a self-described Methodist, though he did not publicly talk about his faith. Richard Stengel, the American journalist who helped him to complete Long Walk to Freedom, remarked, “I never once heard him mention God or heaven or any kind of afterlife.” Nevertheless, nothing could be more Christian than Mandela’s insistence that the way forward would be through forgiveness and reconciliation—and significantly, the formal process of reconciliation was chaired by an Anglican bishop. It is on this point of forgiveness that Mandela departs from Plato. The latter argued in the Gorgias that a person who does injustice must be cured through being punished. Mandela, however, had the deeply Christian insight that forgiveness—real, substantial forgiveness that is indissolubly linked to truth, it should be stressed—was the most profound way to achieve authentic freedom from injustice. “Your freedom and mine cannot be separated,” he told his supporters in 1985 when the apartheid government began manoeuvring for a change in policy. Doubtless, he would have readily extended this sentiment to his opponents.